100% Cotton Hoodies for any age and any size. We carry hoodies in many colors. Customize yours today! 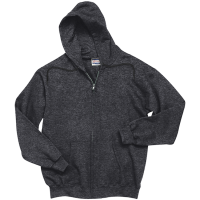 Our cotton hoodies come in zipper and pullover variations, as well as any material you could need. These soft, comfortable hoodies can be ordered with any amount with no setup fee. Our low cost quick shipping will get your custom design shipped to your door as soon as possible. Pick from many trusted brands such as Gildan, Hanes, and more.